Danielle Georgiou Dance Group (DGDG) made my summer last year with their zany dance theater work Donkey Beach. An ode to the 1960s’ beach movie genre and Disney’s Teen Beach Movie the musical follows a group of campers as they are transported to one super awesome beach party after drinking some magical water. As in all of her works Georgiou addresses taboo topics such as gender roles, sexuality and female equality through her own blend of song, dance and dialogue that usually has the audience laughing and cringing at the same time. This summer DGDG will stay true to its feminist roots, but always with a unique twist in Just Girly Things, part of the Festival of Independent Theatres’ 20th anniversary at Bath House Culutral Center at the end of July. Friday, July 20 at 8:00 p.m.
Saturday, July 21 at 5:00 p.m.
Thursday, July 26 at 8:00 p.m.
Sunday, July 29 at 5:00 p.m.
Saturday, August 4 at 8:00 p.m.
Avant Chamber Ballet’s 2018-19 season includes a new family program and new collaborations with local musicians and singers as well as works by Paul Mejia, Christopher Wheeldon and George Balanchine. Dallas – What I admire most about Katie Cooper is her tenacity when it comes to the business end of running a ballet company. It is very easy for artistic directors to get lost in their own heads and lose touch with what is happening right in their own dance communities. But that has never been the case for Cooper. Her eyes have remained opened to the Dallas dance scene and the global ballet industry. Her company continues to thrive because of her industry know how and fresh ideologies when it comes choreographing and presenting ballet works. She is definitely someone that future choreographers and directors in the area should get to know. For its 2018-19 season Avant Chamber Ballet (ACB) will be presenting David Lang’s the little match girl passion, Christopher Wheeldon’s Morphoses and world premieres by Cooper and by the soon-to-be-announced winner of the 2018 Women’s Choreography Project commission. And this is just the tip of the iceberg! The company will also be performing more works by George Balanchine and Paul Mejia. The music for the season includes Vivaldi, Ragtime, George Gershwin, Astor Piazzolla local composer Quinn Mason and a collaboration with singers from the Dallas-based Verdigris Ensemble. And just like all of its performances ACB will be dancing to live accompaniment. You better start marking your calendars now. You don’t want to miss any of these shows! Avant Chamber Ballet’s artistic director Katie Cooper and music director David Cooper announce the company’s 2018-2019 season, featuring three subscription productions at Moody Performance Hall in the Dallas Arts District and the launch of the new Family Saturdays series. The season includes world premieres by Katie Cooper and Women’s Choreography Project, as well as works by Paul Mejia, Christopher Wheeldon and George Balanchine. The subscription season opens with David Lang’s the little match girl passion, a collaboration with the Dallas-based Verdigris Ensemble. Together on stage, the dancers of Avant Chamber Ballet and the singers of Verdigris Ensemble will bring to life Lang’s Pulitzer Prize-winning setting of the famous Hans Christian Andersen story. This will be the first time a contemporary choral work will be staged with ballet in Dallas. In February, Avant Chamber Ballet returns to Moody Performance Hall with Romance and Ragtime. The performances will encompass four ballets with live music: a company premiere of Christopher Wheeldon’s Morphoses, a world premiere by the soon-to-be-announced winner of the 2018 Women’s Choreography Project commission, and world premieres of Katie Cooper’s The Seasons with music by Vivaldi and Ragtime with music by Scott Joplin. Closing the season will be Fascinating Rhythms – an exciting evening of dance and live music by George Gershwin, Astor Piazzolla, and local composer Quinn Mason. Returning to the repertoire will be George Balanchine’s Who Cares? – an audience favorite that perfectly pairs Gershwin’s toe-tapping melodies with Balanchine’s genius choreography. Paul Mejia’s Cafe Victoria, a company premiere, features Piazzolla’s alluring Contrabajissimo. The program closes with a collaboration between choreographer Katie Cooper and Dallas-based composer Quinn Mason. The performance will mark the world premiere of both Cooper’s choreography and of Mason’s String Quartet No. 2. Family Saturdays is a subscription series for young audiences to experience live music and dance in an engaging and family-friendly environment. Each Family Saturdays performance will be one hour long and will feature the professional dancers of Avant Chamber Ballet accompanied by live music. The series will be held at 2:30 pm on December 8, February 23, and May 4 at Moody Performance Hall, and will offer area families a perfect introduction to the performing arts. Avant Chamber Ballet celebrates its artistic growth with three physically and musically challenging works in Beauty and Bach. Dallas — One major sign of a business’s staying power lies in its ability to grow even when facing obstacles that are out of its control. Since its inception in 2012, Avant Chamber Ballet (ACB) has been sticking to its mission of reconnecting ballet with live music by providing live chamber music at every one of its performances, while also stretching audiences’ understanding of classical ballet with Artistic Director Katie Cooper’s bold choreographic choices and keen eye for interesting and diverse guest artists and local collaborations. Cooper will need to rely on these skills moving forward in the midst of The Arts Community Alliance’s (TACA) announcement last month that it will be cutting its funding to local arts groups. To try to counter this hit to ACB’s bottom line, Cooper has been busy applying for grants as well as promoting the heck out of their performances with the hopes of increasing ticket sales. The silver lining in all this is that people have been talking about ACB’s upcoming Beauty and Bach performance, which takes place Feb. 17-18 at Moody Performance Hall, since the company made the announcement back in the summer. The line-up includes George Balanchine’s musically challenging Concerto Barocco, the world premiere of Cooper’s Appalachian Spring featuring a 13-member orchestra and Cooper’s restaging of Aurora’s Wedding from Sleeping Beauty with music from Pyotr IIyich Tchaikovsky’s score, which is arranged by Bryan English. Dallas native Brad Everett Cawyer will conduct the whole evening with the group of musicians he has hand-picked with ACB Music Director David Cooper. With her strictly classical background you would think it would be challenging for Cooper to tap into the modern nuances of Martha Graham’s Appalachian Spring (1944), but Cooper says her lack of modern training actually worked in her favor. “It wasn’t hard for me to create something different because I am not a Graham dancer and therefore her work is not in my mind or body. I know Martha’s verision, but it’s so far apart from my vocabulary that I knew nothing was going to come out looking like hers.” Cooper adds that a lot of the movement for the piece was a testament to how fantastic the music is, which was composed by Aaron Copland and features a 13-member chamber orchestra. Unlike other ballets of this time period, Concerto Barocco was created with no story or theme in mind. Instead, the choreography is a direct response to Johann Sebastian Bach’s Double Violin Concerto, which will be performed by soloists Eleanor Dunbar and Lauren Densinger. The work is split into three movements with the third one being the allegro section featuring the entire ensemble, which ACB was in the process of cleaning when I stopped by the company’s rehearsal at Bruce Wood Dance’s studio in the Dallas Design District two weeks ago. Choreographer and Hurricane Katrina survivor Michelle N. Gibson shares her story in Displaced, Yet Rebirthed, part of Dallas Black Dance Theatre’s Cultural Awareness Series. Today, in addition to running Exhibit Dance Collective, Gibson also teaches dance at Brookhaven College and Mountain View College in Dallas. She also holds an artist in residence position with the Ashe’ Cultural Arts Center in New Orleans. Over the last 12 years Gibson has also taught dance for the Dallas Independent School District and has conducted numerous dance intensives and workshops for universities and cultural centers across the U.S. and in Germany. Gibson earned a B.F.A in dance from Tulane University and her M.F.A in dance and performance studies from Hollins University/American Dance Festival at Duke University. Gibson’s choreographic works include New Orleans Second Line: Takin It To The Roots performed at the American Dance Festival in 2001; Mufaro’s Beautiful Daughters with the Dallas Children’s Theater; Krump accompanied by the LoneStar Wind Orchestra at the Meyerson Center; 2008 South Dallas Dance Festival premiere of I Made It, But Some Didn’t, a tribute to souls survivors of Hurricane Katrina; and the Dallas premiere of Evolution: Honoring, Recognizing, and Uplifting Women of Color and Sisters of the Yam at the South Dallas Cultural Center in 2012. This weekend Gibson will be sharing her Katrina evacuation story using some traditional New Orleans dance moves and music in Displaced, Yet Rebirthed, which is part of Dallas Black Dance Theatre’s (DBDT) Cultural Awareness Series at the Dee and Charles Wyly Theatre. It was recently announced that the dancers will be accompanied by The Kickin’ Brass Band and New Orleans trumpeter Thaddeus Ford in the grand finale. The program also includes Christopher L. Huggins’ tribute to South African President Nelson Mandela in His Grace. After receiving the call from former DBDT Artistic Director Bridget L. Moore asking if she would be a part of the performance, Gibson spent a week with the company exploring her movement aesthetic which she calls a fusion of jazz, contemporary, Afro modern and New Orleans second line, a style Gibson says she has been cultivating since graduate school. Formerly the South Dallas Dance Festival, the new Sweatt Dallas Dance Festival (SDDF) is dedicated to the memory of Mary Lois Sweatt (1939-2016), whose vision and support were integral to the success of SDDF in years past. Entitled Spreading Our Wings, the new SDDF features performances from Stephanie Rae Williams (Dance Theatre of Harlem), Sydney Winston (who attends Point Park University), Beckles Dancing Company, 410 Line Dancers, Images Contemporary Dance Company and Momentum Dance Company, just to name a few. To note, Williams was the SDDF Scholarship recipient in 2005 and Winston is this year’s recipient. Williams began her career with Texas Ballet Theater in 2006 and since then has danced with the Francesca Harper Project and Ballet Black before joining the restored DTH in 2012. Williams began her career with Texas Ballet Theater in 2006 and since then has dance with the Francesca Harper Project and Ballet Black before joining the restored DTH in 2012. Williams will also be receiving the Natalie Skelton Award for artistic excellence at the end of this month at the Dance Council Honors, which will be hosted by the Dance Council of North Texas and held at Dallas Black Dance Theatre. The schedule for SDDF also includes a master class taught by Christie Sullivan, a youth dance showcase, a industry roundtable and many opportunities to see some dancing! The festival takes place Oct. 27-28 at Ann Richards Middle School in Dallas. Go check it out! Advance sales are: 10.00 general, 5.00 for seniors, students, members of Dance Council or ARGA NOVA DANCE. Please bring ID or printout to the box office with you. Tickets at door: 15.00 general, 10.00 for seniors, students, members of Dance Council or ARGA NOVA DANCE. ARGA NOVA DANCE is supported in part by: South Dallas Cultural Center, City of Dallas Office of Cultural Affairs, Sammons Center for the Arts, Star System donors to ARGA NOVA DANCE. 2017 SDDF [ML]Sweatt Dallas Dance Festival – Spreading Our Wings, is supported in part by Ann Richards STEAM Academy and LINKS, Inc. Dallas Chapter. Schedule subject to change, only as necessary. No matter where you live there is a Nutcracker performance waiting for you. Here’s a list of North Texas Nuts, plus other holiday dance. From the big-budget dance companies such as Texas Ballet Theater and Moscow Ballet to the smaller, community-based companies, there is an enchanting Nutcracker performance for everyone to see. For those of you living North of Dallas there is the Allen Civic Ballet, Festival Ballet of North Central Texas in Denton and LakeCities Ballet Theatre in Lewisville. 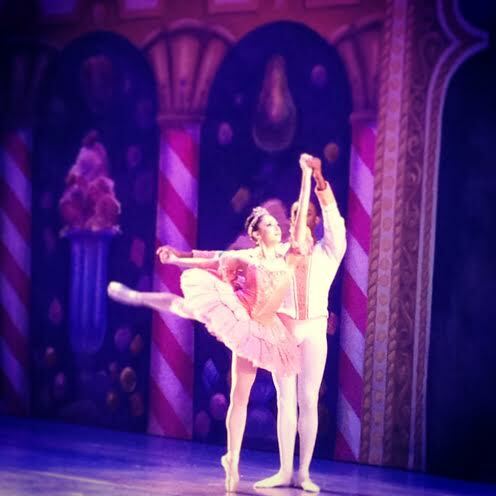 For audiences in the Richardson and Plano area the Eisemann Center for Performing Arts is hosting multiple Nutcracker performances the next two months, including Chamberlain Performing Arts, Dallas Repertoire Ballet and Tuzer Ballet. 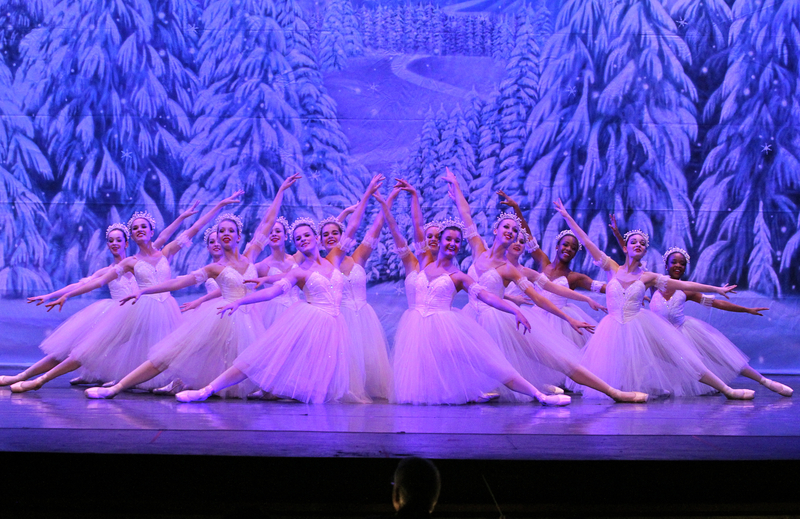 For Garland residents there is Dallas Ballet Company’s annual production at the Granville Arts Center and for Irving patrons Ballet Ensembles of Texas’ showing of the holiday classic at the Irving Arts Center. If you prefer live music, check out LakeCities Ballet Theatre, Allen Civic Ballet and Collin County Ballet Theatre’s Nutcracker productions. For those looking for something a little different there’s 8&1 Dance Company’s In The Spirit and Ballet Concerto’s Holiday Special. This list was originally published on TheaterJones.com. RDA/SW 2014 Festival Happening This Weekend! Approximately 750 bunheads from Arkansas, Louisiana, New Mexico, Oklahoma and Texas will converge at the Eisemann Center for Performing Arts in Richardson, TX, this weekend for the 2014 Regional Dance America/Southwest Festival, hosted by Dallas Ballet Company. Aptly named Deep in the Heart…There’s Dance!, this year’s RDA/SW Festival features a variety of master classes from ballet, pointe and partnering to theater and hip-hop as well as an emerging choreography concert, showcase performance and a closing gala happening each evening at 7:30pm at the Eisemann. Tickets for the performances are $30 and are available through the Eisemann Center and Dallas Ballet Company. Some of our local talent will be in attendance, including Collin County Ballet Theatre, Ballet Ensemble of Texas and Dallas Metropolitan Ballet. And of course there will also be some amazing guests artists teaching at the festival, including Jason Fowler, Tyler Hanes, Kim Abel, Jock Soto, Kurt A. Douglas, Mary Margaret Holt and Thom Clower, just to name a few. I will be there all weekend observing classes and watching performances. Come on by and say HI! Internationally Acclaimed Dance Group Explores Themes of Love! DALLAS — Join Dark Circles Contemporary Dance (DCCD) for White Day. The evening will feature the dancers of DCCD in three world premiere dance works including ‘Marshmallow’ and ‘White Day’ by Artistic Director Joshua L. Peugh and a commissioned work by San Francisco-based guest choreographer Louis Acquisto. Performances are Thursday, March 13 – Saturday, March 15 at 8:00 PM at the intimate Hardy and Betty Sanders Theatre in Fort Worth. Reserved tickets are $20 and student tickets are $12. Last spring, Dark Circles Contemporary Dance (DCCD) launched a new branch in the U.S.A. The company’s self-titled premiere program was included in the Dallas Morning News, Star-Telegram, and TheaterJones’ lists of best dance performances of 2013. Over the past four years, DCCD has created and produced over twenty original, award-winning works and performed in seven countries. Artistic Director Joshua L. Peugh’s new work is a two-part dance inspired by White Day, a holiday celebrated in Japan and Korea on March fourteenth as a response to Valentine’s Day. The first part entitled ‘Marshmallow’ was influenced by the fantasy and well-observed humanity of Japanese anime and includes music from the Studio Ghibli film ‘Howl’s Moving Castle’ by popular Japanese animation composer Joe Hisaishi. The second part—White Day—features the music of another Japanese composer: Ryuichi Sakamoto, and looks at the more intimate and complicated side of the lovers’ holiday through hip-hop infused movement. 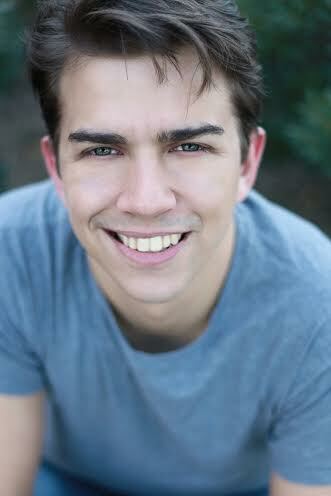 Rounding out the program is a new work commissioned by DCCD from choreographer Louis Acquisto. Acquisto, a former dancer with New York’s Amy Marshall Dance Company and an alumnus of Southern Methodist University, deals with fear and loneliness. Using Stevie Ray Vaughn’s “Life By The Drop” as a centerpiece, Acquisto’s athletic, floor-based modern dance movement highlights the company’s strengths. Dallas – The Dance Council of North Texas (DCNT) is proud to sponsor Dance Big D! in celebration of the 3rd annual National Dance Day. The goal of Dance Big D! is to promote dance participation and bring attention to the Dallas arts scene. On Saturday, July 27th the DCNT will host a dance flash mob at noon in Victory Park AT&T Plaza featuring the choreography Everybody Dance from the Dizzy Feet Foundation website. 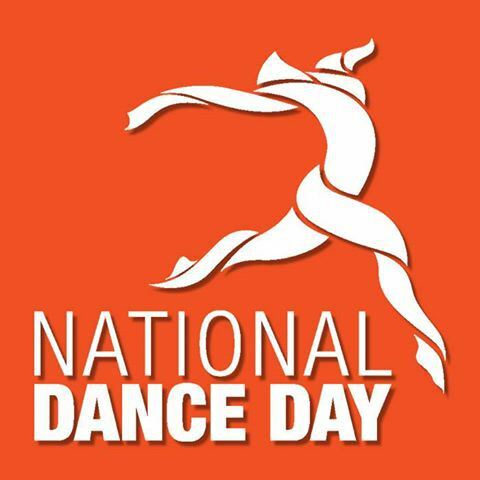 Each year DFF hosts two National Dance Day events, one in Los Angeles and one in Washington D.C. This year, DFF co-presidents Nigel Lythgoe and Adam Shankman choreographed an “Everybody Dance” routine for people of all levels of ability, and SYTYCD choreographers Napoleon and Tabitha Dumo have created a “Hip-Hop Master Class” routine for those who want to challenge themselves. The Dance Council of North Texas, a 501 c (3) non-profit founded in 1973, promotes and supports dance. The Council provides artistic, educational and cultural opportunities to people of all ages, cultures and abilities through dance performances, festivals, scholarships, master classes, and additional activities, collaborations and partnerships.